Usually, CloudFlare is used to serve as a proxy for domains and to change the real ip of domains. There’s a CF-IPConfig feature in Keitaro GeoDBs settings (Maintenance > GeoDBs), which allows receiving a visitor’s country code in the header. CF-IPConfig is supported only with IP2Location databases. Connect the domains with the tracker. 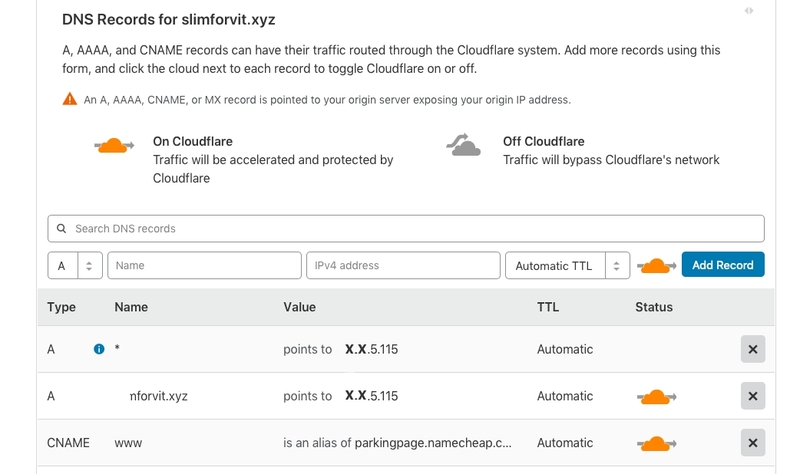 Add connected domains to CloudFlare. Let’s take the domain from Namecheap. Go to your Dashboard, select the domain and click Manage button and go Advanced DNS settings inside. Save the changes and wait for the DNS cache to update. The changes may take up to 24 hours to go live. Where replace domain.ru and domain2.com with your real domain names. Save the changes. DNS server update may take up to 48 hours to take effect. Go back to CloudFlare and save the changes on the page. Done! The setup is complete. Now we only need to wait for the changes to take effect. You’ll receive an email from CloudFlare when the setup will be finished. In case you have any questions left, feel free to check our Knowledge Base or contact our support team.